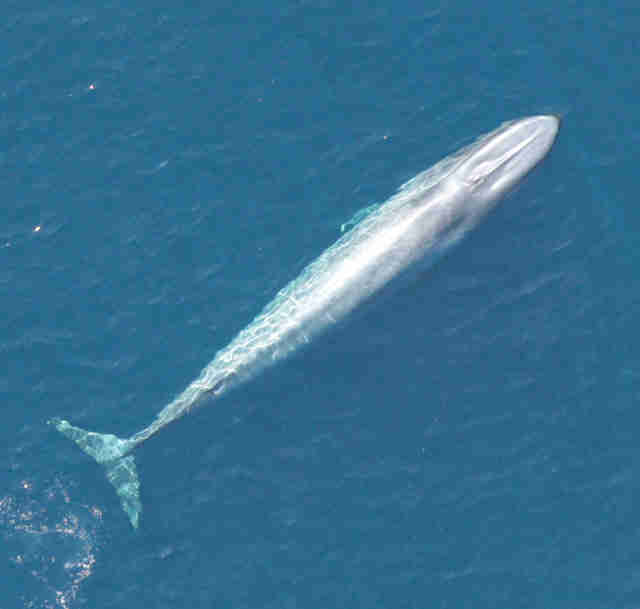 California blue whales have made an impressive comeback. A group of whales who migrate up the Pacific coast from the equator to Alaska has returned to nearly the same size it was before the giant mammals were hunted, says a group of marine biologists at the University of Washington. "It's a conservation success story," states Cole Monnahan, an ecology graduate student at the University of Washington. "The recovery of California blue whales from whaling demonstrates the ability of blue whale populations to rebuild under careful management and conservation measures." Whalers killed approximately 3,400 California blue whales last century, Monnahan and his colleagues estimated in June, a serious reduction in the whale population. The International Whaling Commission banned the hunting of blue whales in the ‘60s, though the U.S. Marine Mammal Protection Act affords the "potential biological removal" of 3.1 whales annually. 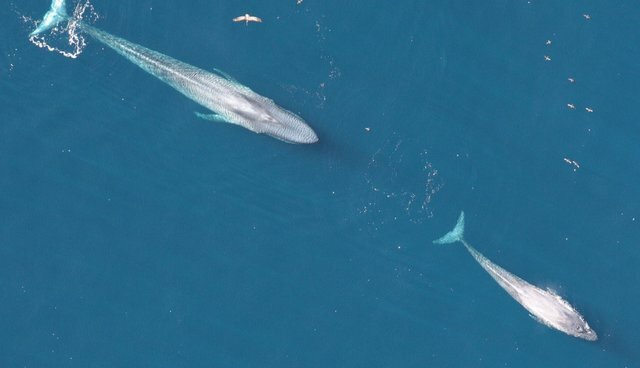 Although the current population of about 2,200 California blue whales may seem small, it represents about 97 percent of the historical population of this group, the researchers say. These animals are currently at risk from boat strikes, however, with collisions impacting about 11 whales a year. Because boats, as well as pollution and noise, pose problems for these whales, they still need help from humans. "Our findings aren't meant to deprive California blue whales of protections that they need going forward," Monnahan says. "California blue whales are recovering because we took actions to stop catches and start monitoring. If we hadn't, the population might have been pushed to near extinction - an unfortunate fate suffered by other blue whale populations." Other blue whales, particularly those living near Antarctica, haven't been as fortunate. In the Antarctic, whalers harvested 346,000 blue whales over the last century - less than 1 percent of this population remains. The whales, though endangered, are gradually recovering.